People associate certain things from the past with a particular fragrance, or a place, sometimes food. You taste something and it reminds you of your mother and your childhood, get a whiff of some perfume that reminds you of your long lost love. My love for typography makes me associate my past with fonts. I have always had a keen interest for Type. Even as a kid, unknowingly, I used to sit on MS Word browsing through fonts, exploring. Typing out some of my story books on Word using these fonts thinking I was doing some extremely important work. So what changed that made me realise the good from bad, the beautiful from ugly, the wrong from right? Going to Design School being the most obvious answer, the gruelling assignments, research, books and sharing knowledge played a big roll. How unoriginal of me to like something that every designer is “supposed to like”. But my first ever type assignment was working with Helvetica - The back breaking job of tracing the font in a sentence to understand mechanical and optical kerning, that too from a Typolog. Which means tracing each and every alphabet separately to form a word and then a sentence. That is tedious! But I loved it. It is then when I realised typography is what I want to be associated with in future, in one way or the other. When you’re working on something so intensely, you do predominantly tend to notice things related to that in your surrounding. So I started noticing Helvetica used in posters, hoardings, ads, logos. I learnt how to recognise a typeface! One achievement unlocked! That thrill of being able to recognise a typeface is kind of addictive. Gives you an ego boost. So I started digging deeper and reading more, observing more using the typeface more and at the same time exploring new typefaces. This memory is synonymous with my mentor and teacher Manasi Keni, who realised my love for typography right from the beginning of my first year. Very strict but equally rewarding, I was very lucky to have such a dedicated teacher who went out of her way to help and strive for our betterment. Out of the many fun assignments she gave us, one of them was to present our favourite font. I had moved on from Helvetica by then and fallen in love with Baskerville. It’s beautiful curves, contrast and it’s elegance. A serif font with gentle transitions. The serifs gliding into the stems was a treat for the eye. Two of my favourite letters were the uppercase ‘Q’ because of the unapologetically bold yet elegant backward slash and the lowercase ‘G’ for it’s ear and loop. This was the first presentation I ever gave in college. I have a very bad stage fright. I was absolutely dreading the day even though I had to present in front my own classmates and friends. I was thinking, why did my teacher put me through this task?! I’d rather go through the agony of tracing the entire Typolog than do a presentation! It is when my knees were shaking and heart pounding that I remembered, while researching for the presentation I found out that John Baskerville, the creator of this font was illiterate. His knack for calligraphy and penmanship and a strong urge to learn about type made him quit his job and start his own press which ultimately gave birth to the first transitional typeface which later was an inspiration for Bodoni and Didot. I thought to myself, if an illiterate could achieve such a feat and design his own font, I can most certainly give a presentation. It gave me courage and I got through it. I still get scared to present in front of people, but now I know that, I can do it anyway. This font taught me that where there is passion and dedication, nothing seems impossible. All the qualities that got me through design school and to where I am now. Constantly evolving, constantly searching. Your first job is like finally diving into the ocean after swimming in the pool for four years. It is when you find out that most of the things you learnt in college do not apply in “real life”. The basic design sense is there, aesthetics and principles apply, but the rest? In that moment you realise you have SO much to learn still. All that ego about being one of the brightest students in class is shattered by the slap of reality that life gives you. Everything is unclear again. But that’s okay! Remember what Baskerville taught you? Perseverance and dedication! Also, some good friends are just what you need! It is here where I came across Museo and Brandon Grostesque. I was aware of Museo back in college but never really got to explore it. These two fonts have proved to be my pillars in tricky situations like a creative block a day before a deadline. The have made my logos look sleek and my packaging clean and contemporary. Museo is like a flexible companion providing solutions to all your problems with its Serif, Sans, Cyrillic and Slab Family. Brandon Grotesque is a total hunk with it’s strong yet friendly appearance sitting next to you saying encouraging words while you burn the midnight lamp. In any project where the outcome is something new, we think it is driven by inspiration. The ideas which leads to big shift in our life, which really takes us to the future are the domain of few gifted individuals who can think up these great ideas. In today's time, this is a mistaken presumption. Most people can join some few dots and come up with next best idea. The ‘eureka’ moments are way too common than we believe. If we ask around, it will be really hard to find a person who has no great idea. Idea is always in abundance and overflows at our will. This is way too over rated. Getting an idea from ‘thought to thing’, is completely a different capability. Very few people have the gift to commit for an idea and spend half a life to realise. This is the true magic of creation. 1% inspiration is actually enough to get an idea to start with, but one does need 99% perspiration to keep at the idea and make it come alive. Most of our education system is focused around this 1%. We learn to become good in thinking and communicating ideas. Our hero is a person who can speak beautifully about a life changing big idea. We are not really bothered about those people who will actually work on the idea and implement it. They mostly stay in the fringe and are forgotten as ordinary. To inculcate the culture of innovation and doing never before things, it is time to we start celebrating the perspiration. Perspiration demands meticulous planning, ingenuity to do with less of everything, patience to endure ridicule and maybe failure every-day for next ten years. That is the kind of time it takes, to make a new idea work for users successfully. Perspiration may seem ridiculously painful, but it is the true joy for many invisible, adventure loving, excellence seeking working folks around us. What is a journey if it is not really scary! Scientist at NASA experienced 20 failures in its 28 attempts to send rockets to space. Problems, which keeps the world leaders awake at night, have already changed. Technology is becoming the dominant force and as human we are grappling with the speed & meaning it brings to our daily life. World today is looking at design to solve these complex & unprecedented problems. We as designers are eager to rise to the occasion and welcome the change. We need to relook at our methods, mindset and measurements to be effective with these problems. At Elephant, we are constantly experimenting with our self to understand and gain capability to address these problems. Creating a next level of work culture is one such focus. Partho Guha, Co founder and director Elephant design. EMPATHY. People matter to us. More than anything people defines what we do. People from all walks of life use our design. Clients represent a business but at the end they are people too. They come with their own needs and wishes, their personal expectations, dislikes and world views. Then comes our own team, the most important set of people we have at Elephant. To work with people we need to understand them deeply & seriously. Considering we do not even understand our self-well, this is a daunting task. Empathy is possibly the most human way to understand another human. After going about the practiced way of logical profiling, demography, segmentation, motive & barriers and such logical methods, one needs to trust empathy. That is how we go beyond words & statistics and people become alive and connectable. Thankfully we are born with empathy and use it extensively in our personal life. When at work we seem to switch off this important capability. At Elephant, we wish to switch on the empathy and use it as our primary tool to understand people. EXPLORE. A design problem comes with certain obvious solutions. The practical, proven, easily acceptable solutions, little tweaked for the context, easily becomes the winning idea. Possibly in any design project this is the greatest challenge to solve. How not to give in to the obvious and push the boundary fitting to the opportunity. It demands a great effort and energy from the team (client, design & vendors) to take the project beyond the obvious. Adapting to the mindset of an Explorer, possibly the best way to go beyond in a collaborative way. The explorer’s restlessness of finding the edge, the faith that there is always a better way drives this effort. At Elephant we greatly respect and encourage the explorer in us to grow and take charge of projects. MAGICAL CHANGE. Subtle changes are everyday occurrence in our life but only sometime there are changes, which are momentous and defining. They demarcate the past from the future. At Elephant we work towards making such magical change happen to the business and people we work with. Most importantly, we try to create such changes for people in our team. We try to contribute and bring about magical changes in each other’s life. At Elephant we believe magical changes only happen when we work with empathy and like an explorer. Surely many from the global design community have felt this urgency for change and already doing something in their context. We all need to learn from each othersexperiences. We are all ears to learn from your comments and thoughts.Thank You. Want to join Elephant? Read these super tips by Vinita Jakkal who landed herself a place in our team! 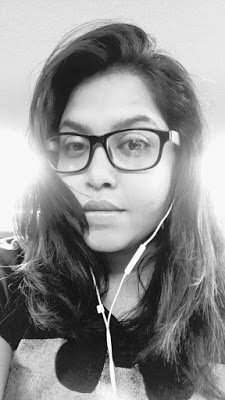 As most of young designers dream of starting their career with the top studios but dreaming is not enough says Vinita Jakkal, a Post Graduate in Graphic Design from MIT Institute of Design, who is currently working with Elephant Design, Pune. She shares the tips, which may help you make your dream come true. If you really want to get placed in your dream company, you need to be on your toes from the very first day of your college. Dreaming is good but doing nothing for that dream every day is not. No matter how philosophical or boring it sounds (even I felt the same when I was in college) but it’s a truth that I learned over past 6 years of my design experience. Start by choosing the company with a must do basic research on company portfolio, it’s market reputation and most importantly what you want to learn from it. Also understanding the scope for individual growth and aspirations. Your design portfolio is going to act as a mirror for you and your skills. So be thoughtful while choosing a work. Only select the best & unique, as viewer will be interested in the quality and not the quantity. Now a days everyone is techno savvy so try to make an online portfolio or your own website.One of the most important part is showcasing the design process of your work. If it is a face to face interview, along with your resume & online portfolio try to present some of your best physical models or works as well. It will add interest for the reviewer. When you aspire a dream opportunity, it can come to you in any form and at any time, so do not wait for vacancies of studios. Just participate in public events, contribute on global or national level design platforms so that many studios can notice your work and rest assured if you are good at your skills, they will pour you with opportunities and offers. Also, be confident about your work while presenting. Try to highlight the process & thought behind any creativity and specially avoid saying that I have chosen this colour because that’s my favourite one. When you’re trying to sell yourself as a conceptual person, you need to be able to validate your decision-making because interviewer want to see how you think and that you understand the purpose of design from a business & end user perspective. Studios always want people with multiple skills. So sell your skills correctly! So Best of Luck peeps. Ashwini Deshpande, Co-founder, Elephant, looks at her career journey as a woman, an entrepreneur, today as a motivator shares insights that she found on the way. In my long work-life of 25+ years, I have rarely looked at myself from a gender lens. Partly because women have a natural acceptance in communication design and partly because I have been fortunate to be surrounded by equalists. Maybe the unequalists fell off the earth’s surface & I never noticed them! In recent years, with experience & reach, I am frequently invited to speak to women at various workplaces, in various stages of their careers. First such opportunity was at a research organization that had over two dozen women scientists. I was rather excited to get to meet these highly accomplished women and looked forward to getting motivated rather than the other way around. So I did not question the occasion much though it was held on World Women’s Day. Many such opportunities followed. Each time I thought to myself whether it is right to be addressing women as a woman. I would question often myself whether I would be considered less accomplished if I was a man, whether my limited success is unfairly attributed to being a woman, whether being a woman is a handicap or advantage. There was no resolving these conflicts. I can’t quite articulate whether the discomfort was out of questioning my own ability to motivate people or whether I was in denial that women are differently abled at workplaces. I have now come to terms that I was in denial. Just because I was fortunate and could pursue my path unhindered by family responsibilities or other biases, I had no right to believe that every woman had it smooth. I started looking keenly at this issue this year as I was listed among "50 most Influential Women in Media" by Impact magazine, invited by "Microsoft Women in Tech” initiative as a motivational speaker and invited by Businessworld’s "Young Entrepreneur Awards" conference to be part of an all-women panel discussion. Every single merit list of any exam small or big has girls topping the lists. Why they are not seen in equal percentages at leadership positions is an unresolved pain point. Large percentage of girls take a break from work between 28 to 35 because of marriage, motherhood, husband’s career choices, health of parents or in-laws. Most of them get married without actually asking the crucial question about equal respect to each other’s work. So, I rarely see a father in his early thirties taking leave for his unwell child or mother. It is exactly at this point that women need to be counselled or mentored so they keep going. Girls give up too early on themselves. They take the choice of opting out as a way to avoid conflicts at home front. In turn they give up on their own potential. Unfortunately, this is rarely acknowledged by the family members. They switch off before they can shine. There are many flexi-options available today that border on entrepreneurship. Women need to consider options other than full-time job or full-time home-maker to discover their own place under the sun. Despite education, urbanization, nuclear families, global exposure etc, family structures & expected behavioural patterns have seen very little change. The traditional definitions of a woman’s duties towards her household & family still remain what they were in the last century. Even today, majority of girls are brought up to believe that working outside the house is a choice they will make and that their household will not be dependent on their income (fathers, brothers, husbands are there to do that). However, working inside the house is a given and that they will have no choice there. So what do you think the girl takes seriously? Popular media glorifies the traditional roles & makes vampish characters out of those who defy them. Success Quotient is a weekly feature that appears every Friday on Firstpost, which looks at the pains and joys en route to success for a head honcho - whether a CEO, MD or an entrepreneur. The column looks at the ideas that helped launch a company, its highs and lows. 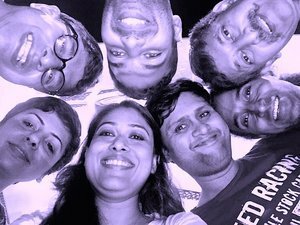 Starting out in 1989, Elephant Strategy+Design was co-founded by Ashwini Deshpande, Ashish Deshpande and Partho Gupta in Pune. In a short span the company rose to the top with a distinct identity of its own and now represents India at the Design Alliance Asia, a consortium of design consulting companies across 13 Asian countries. Ashwini Deshpande, Co-Founder and Director, shares her continuing passion for work. What did you want to take up as a career? I grew up in Aurangabad, a small town. I was highly inclined towards art, creativity, advertisingand visual story telling in school. I was also good at academics. Towards the end of high school, I realized I was not interested in walking down the conventional career path of engineering or medicine. My parents were very supportive. So we explored options like commercial art, architecture and then we came across some information on NID, the premier design institute in Ahmedabad. Though I wasn’t fully aware of what a designer does as a career and there was nobody to find out from, the prospect of going through the professional design education seemed very exciting. In 1983, NID selected 24 students to join the undergraduate batch. Being one of them felt rather special. How were your NID days? What are your memories of the place? For many reasons, NID was a cultural surprise, even a shock. There was freedom, learning and exposure to global thought. There was a degree of social commitment. At NID, a student was only compared to his or her own benchmark or capability and never with anyone else. Years spent at NID taught me to think as an individual on a broader level and to be purposeful. It opened my mind, broadened my horizons. I also came out with a conviction that design is a team game. Did your views towards design change after going to NID? Honestly, I did not have enough understanding of design to form a view before I went to NID. But there, the first thing I learnt was the difference between art and design. I understood that design always has a purpose, a parameter, and a problem to solve. Companies like Frog Design influenced us in the 80s. There were some great professors, but they were not in the business. There were some peers and seniors who ran boutique design studios. But there was nobody ahead of us in the field with a dream of large scale, sustainable multi-disciplinary design consulting company. So the excitement was to carve a path, create a benchmark and keep raising the bar of design impact. The Elephant team is my inspiration. My teams are my heroes. What was the genesis of the name of your company – Elephant Design? Our name is inspired by the story of the blind men and the elephant. We believe design is a team game. We are always interested in adding another dimension to the process to form a richer, bigger picture. The name has worked well. It has had an excellent recall. It also becomes the icebreaker with most new teams that we meet. What was the first assignment that the company got? Our first assignment was a big break. I was in Pune working on my graduation project with the India office of a German multi-national company. As luck may have it, the global head of corporate communications happened to visit India during the time, saw some of the work and offered me a project to work on their international collateral. I took it up saying we will do it as Elephant. That project got us a 100,000 Deutsche Marks that roughly equaled Rs 13 lakh in 1989. In the initial days, a consultancy needs to pick up whatever work that may come its way. That money gave us the confidence to focus on meaningful work where we could bring about a positive impact with design intervention. We saw decent double digit growth last year. Hopefully the trend will grow. What are the changes in your sector that you welcome? What do you think needs to be done? Design being a nascent profession, awareness about the impact of design intervention is very low. There are no measurable tools or any documented case studies that explain how design helped increase profits for a business. Now that there are many design schools in India, we should be able to have better talent and awareness. When the Indian government promotes Make in India, it needs to start with ‘Design in India’. Otherwise we will become a nation of ‘makers’ and not ‘creators’. I would like to see Indian products and brands becoming globally relevant and successful. I feel Indian design needs to focus on staying relevant to its audience and not get side-tracked by trying to showcase an outsider’s version of ‘Indian’ design. What are your dreams for Elephant Design and how far have you come to fulfilling it? We have always worked towards building an institution that transforms lives. The dream was to stay purposeful, make a large and positive impact and lead the way for establishing business of design in India. It took time, but we are quite there. The next dream is to put Indian design on the mainstream global map of design, to make design intervention meaningful to the masses and to use design as a tool for social impact. The best virtue of a designer is to stay curious and to not be judgmental. I try my best. You love travelling. Does travel for work give you Me-Time or it is only work? There is a idiom in Marathi that I grew up with: Kelyane deshatan pandit maitree, sabhet sanchar, manuja chaturya yetase far. It loosely translates to: If you travel the world, meet experts, interact with others, you may become clever yourself! I never see work as something I need to get away from. I love everything that comes with the profession. Who can complain about getting invited to Cannes for seeing the best work in one’s field and get to also have an opinion on it? What is on your bucket list? How many have you finished on that so far? I have travelled across more than 20 odd countries. And maybe 20 more are waiting. I edited a book called Colours of Asia last year, but now want to write one myself. I feel Elephant is an inspirational story that needs to be told. So I am hoping to complete that book soon. Other things from the bucket list will emerge as I go along.